Patrolman Timothy Warren was shot and killed after responding to a domestic dispute and shooting at a DoubleTree Hotel at approximately 7:00 pm. A male subject had gone to the hotel in search of a woman. After locating her, he shot and killed a male who had accompanied her. Patrolman Warren was among the first officers on the scene and was searching for the suspect on an upper floor. He was in a stairwell when the suspect opened a door connecting to the floor and shot him in the head. The 20-year-old suspect was taken into custody after the shooting. On January 13, 2014, the suspect pled guilty to two counts of first degree murder and was sentenced to life without the possibility of parole. 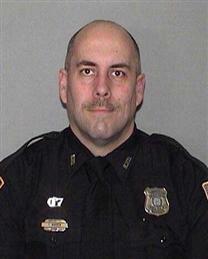 Patrolman Warren had served with the Memphis Police Department for eight years. He is survived by his wife and two children. Tim answered his call to duty and made the supreme sacrifice for the citizens he faithfully served. 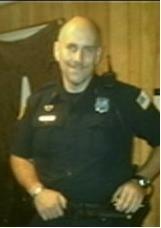 May he Rest In Peace with his fellow brothers and sisters in blue who went before him.